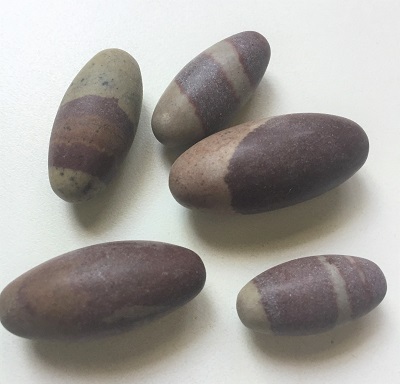 Distinctive bands of chocolate brown and rust color, natural river polished Lingam stones from India. Lingam stones represent divinity and have traditionally been used for rituals, in temples, and on altars. 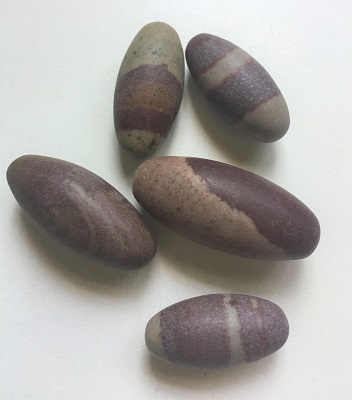 As a sacred river stone, Lingams are thought to have regenerative powers that resonate with energies representing creation, the flow of time, movement, and purification. Lingam Stones are wonderful support stones for those interested in offering their services to others and the community as a whole. Lingam resonates with the vibrations of gratitude and respect for the physical body and all of its innumerable life supportive, and self-healing processes. Lingam’s grounding vibrations allow one to connect with opportunities that come flowing, and sometimes tumbling, onto our path. 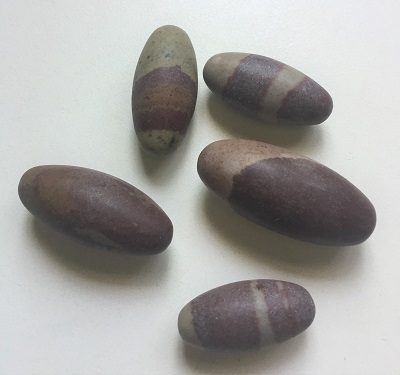 Lingam stones with their banded markings remind us of time management accountability. 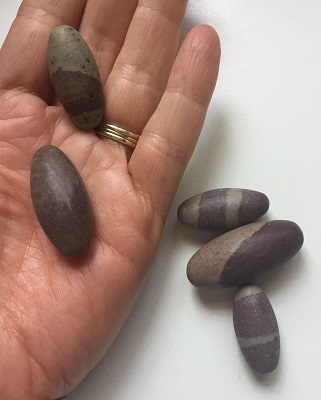 Lingam Stones offer the opportunity to pause, appreciate and if necessary, evaluate how we spend the precious energetic resource of our time and attention. in healing, Lingam is a wonderful crystal tool for restoring balance and overall general well-being. Lingam may be used to balance the fluids of the body, seek relief from back pain, and help with spinal alignment. Lingam may also be used for reproductive health, menopausal symptoms, fertility issues, and for prostrate health.